A couple weeks ago I was in my apartment packing up for a trip to LA when I realized I still had half an avocado left in the fridge. If you know me, you know I hate waisting food. Especially if it’s a great avocado. (You don’t come by those often in Boston). So I Googled ways of storing it for a later use and realized freezing it would be a perfect idea. I chopped it into cubes, placed it in a bag and forgot about it. When I came back from my little vacation, I stood in front of the freezer wondering what the hell I was going to do with half a frozen avocado. 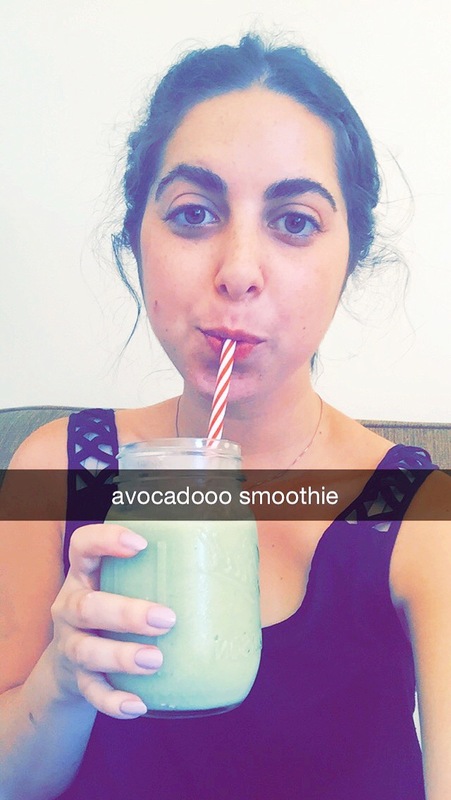 When suddenly, an avocado smoothie popped into my head. This place in Copenhagen called Joe & The Juice serves the most amazing avocado shakes. Their ingredients are simple and fresh. And if you’re in Copenhagen, I highly suggest you go there. So I began thinking about possible ingredients and taking whatever I found out of the cupboard. It was then when I saw a shining yellow box. (Okay, so maybe it wasn’t shining). It was a box of quick oats, which to be honest, I generally only use when I’m feeling extremely lazy. But today, those forgotten oats would become something spectacular. You see, there’s this place in Manhattan called Hu Kitchen, which has the most unbelievable oatmeal smoothie. 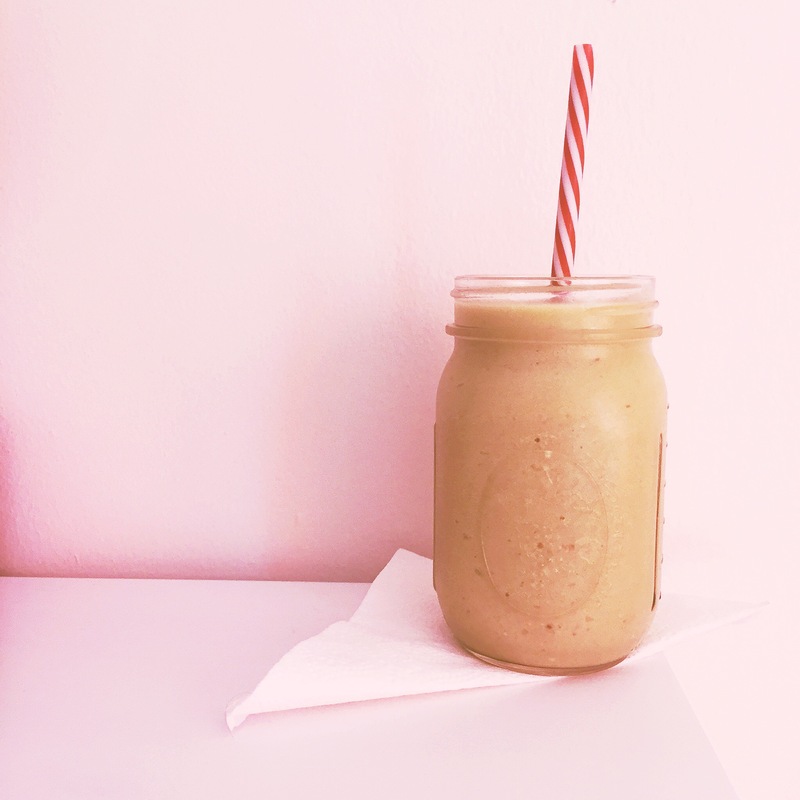 Yup, I said it, OATMEAL SMOOTHIE. It’s a mixture of oatmeal, almond milk, syrup and pear. If you love eating oatmeal, you’ll love drinking it even more. If you don’t, well then that’s okay too. Anyways, I’m sure you know where this is going by now. Combining parts of those two smoothies would create the best, most nutritious and filling breakfast smoothie of all time. So I went ahead and did it. 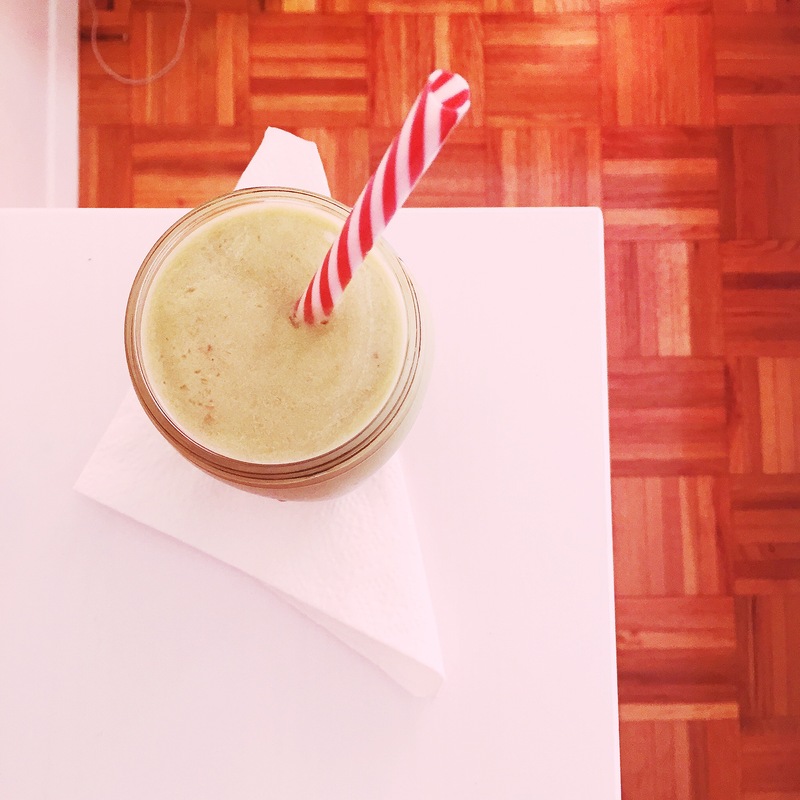 In the blender went half a frozen avocado, a frozen banana, a cup and a half (or so) of milk, a tablespoon and a half of honey, some oats and finally, a couple ice cubes to make it a little less thick. 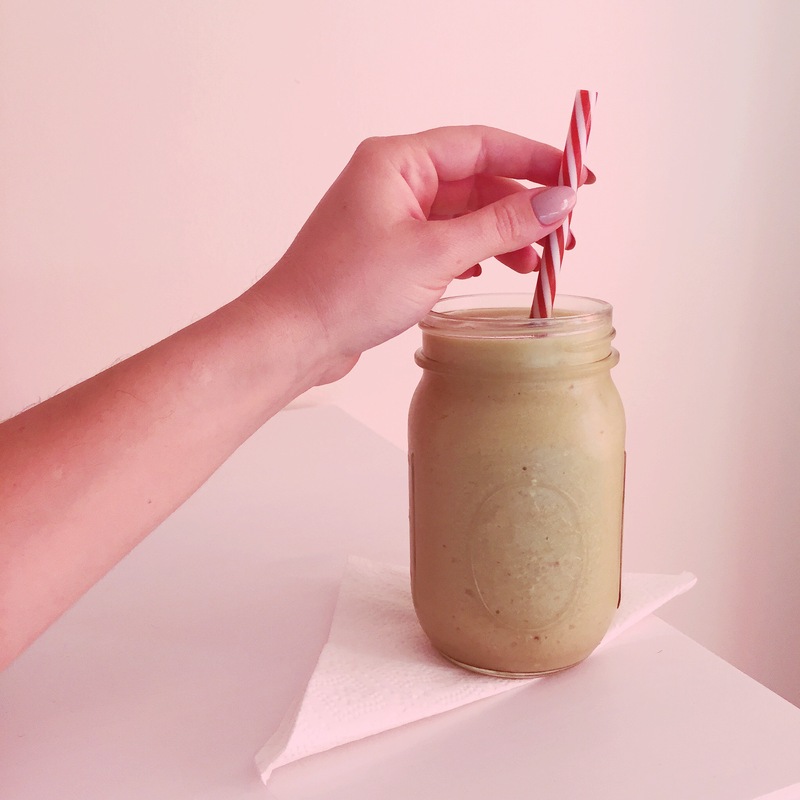 And BAM, came an amazing avocado smoothie. P.S If you’re not into the whole oatmeal deal, just don’t include the oats. Don’t be afraid to play around with the measurements–it’s whatever tastes right for you. P.P.S Joe & The Juice can also be found in the UK, Norway and Sweden. I will be visiting Copenhagen and Sweden this summer! Thanks for the suggestion, I can’t wait to check it out!